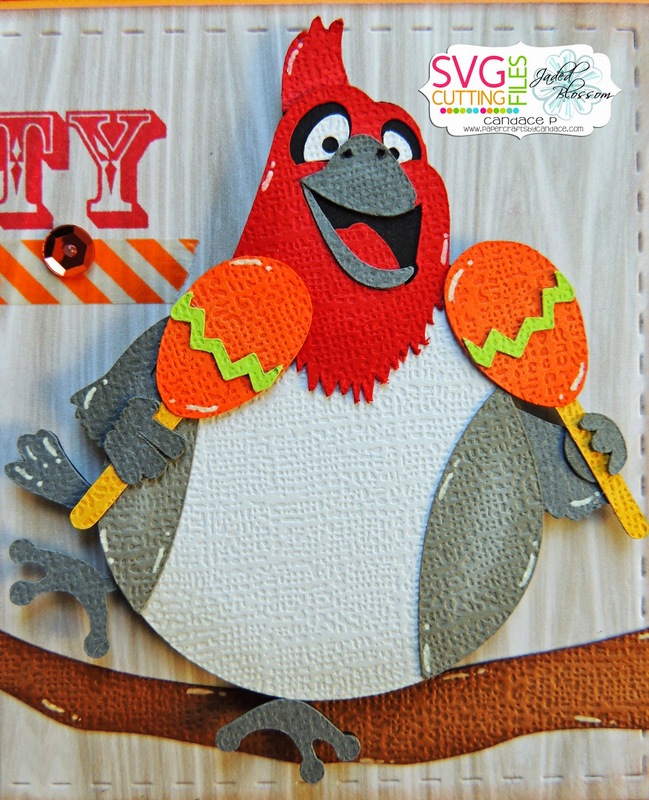 Paper Crafts by Candace: Rio Mini Blog Hop! And now for my Project! This is Pedro!! I used Jaded Blossoms Card Mat Dies, and Birthday Bingo! Love it! I can see him leading the conga line! LOL! Got to love Pedro and his Maracas :-) Uber Cute! Love Pedro. Great color choices and awesome use of washi tape. Cute project. Great card - what a great hop so far! Perfect for a party invitation. He's obviously ready to party.....lol...cute! Love how the maracas pop! Great color and cute card. Pedro"s really rockin it!! love your project. Pedro just comes to life in this card! Great job! How fun! Makes you want to dance! Love your card. Pedro is a cool dude. Awesome job! Lol! The JB sentiment fits the bird perfectly. I can totally see him as being the life of the party. I love this jolly fella! Love this. Especially the bling. Very much in party mode! Put a smile on my face so early in the morning. The sentiment goes so well with this! Yep that parrot looks like he's having a blast. Great card! I can just hear him yelling, Party! LOL! That chubby Pedro is too cute! Love his shakers and the washi tape! Pedro is so fun. You've captured his spirit. His one of my favorite characters. The way his holding the maracas makes me want to start dancing. Well done! Love the layering... this is great. Great card - I just love his expression! Pedro is super cute! Love the sequins with the washi. Wonderful card! The colors are so funny! As always, your card is fabulous!! I'm already in love with Pedro ... and I haven't yet seen the movie!! GREAT JOB!! Ha ha ha! This is great! Love him! The grin just perks up a bleary day! Such a fun project! Too cute! He's ready to party. Awesome!! Pedro is so cute! Love it! Oh, jeez, love Pedro, too. Gorgeous. very cool card. makes me want to shake some maracas hehe. This is so adorable, shake shake those maracas! What a fun & cute card...TFS!!! I'd wanna party with that guy. Cute! OMG This is TOO CUTE!!! How super ADORABLE is this!!! AWESOME card! I love the detail on your card. It really pops. lol he is so cute! I just want to get up and dance! I love it. Love it! The file is fabulous and i love the washi tape - it all just works!!! What a fun party card. TFS! Haha! LOVE it! Great job on this card Candace!! I have to admit I haven't seen the movies but this guy is fabulous! He made me LOL when I saw him! Great job! Cute!! Just love the cut!! He is cute! Great card! Cute Card! Love the little accents! He makes me smile! Adorable! Already a follower! Love the card! Thanks for the hop! Who doesn't love a party! Cute. Love the card!! Great job. What a fun card. I feel like partying with him. OMG - love Pedro! Super cute and love the card. Omg I love this conga bird!! it is so cute. Love your card. I need to start using my washi tape more! OK this just makes me chuckle! he is adorable, love him! So cute, love the party card! Love the bird!! So cute! Love the bird, very fun project! I just love it ! Thank you for Sharing! Oh wow- Pedro is looking might fine! Love the great background paper, washi tape and sequins - they set the perfect backdrop for Pedro! And the "PARTY" sentiment looks great - I love this! YAY...Makes me want to PARTY! Adorbale bird ~ great cut job! Oh Pedro!!! All so colorful and beautiful! 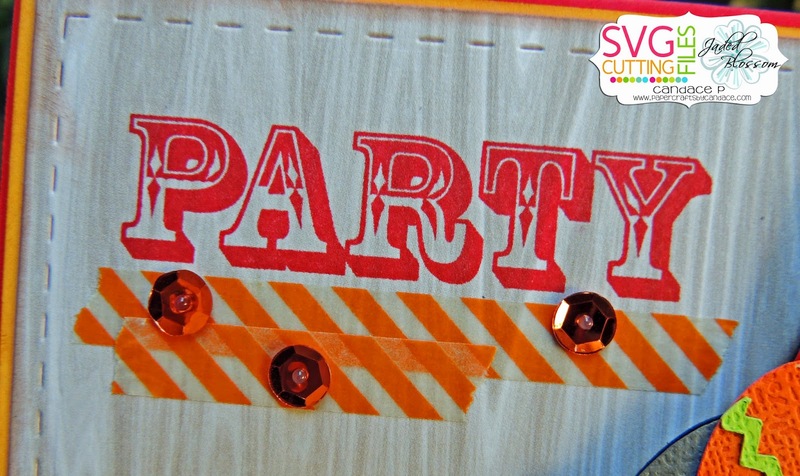 Love the washi tape and sequins with the "PARTY" it all flows together beautifully! Love your card! TKS! Fantastic! Love his facial expression and the maracas! Love this!!! It's so cute! So cute. Love this project. Pedro - Perfect choice for a party invite. Great project. Party!!!! I love it!!! The orange and white...is it ribbon or tape? That card is sooo stinking cute! I am loving that textured cardstock - really pops! Very cute card, he is so adorable! Ha ha this made me laugh...great work. Very nice. Love the maracas. So cute! How do you get your paper to look so textured and alive? LOVE!! This card makes me so happy! I'd join that party! Like the maracas! Love him!!!!!! 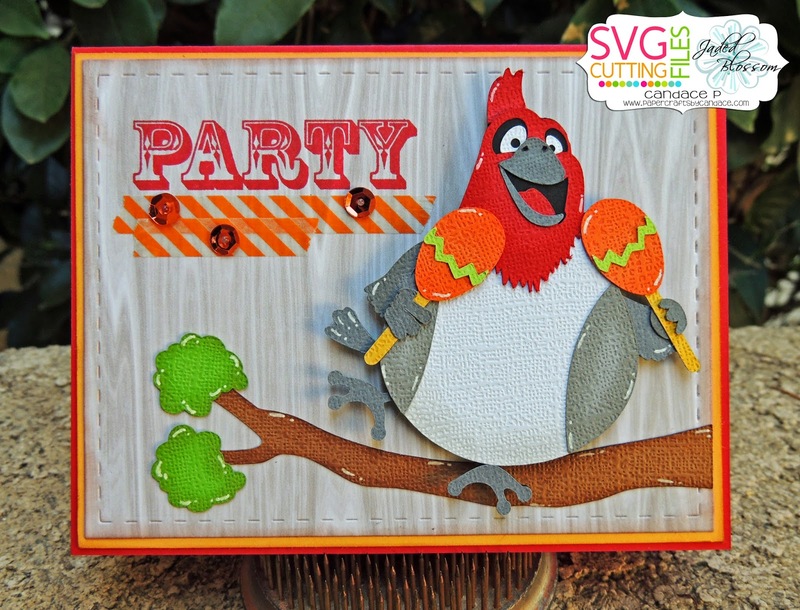 Just for a party card!